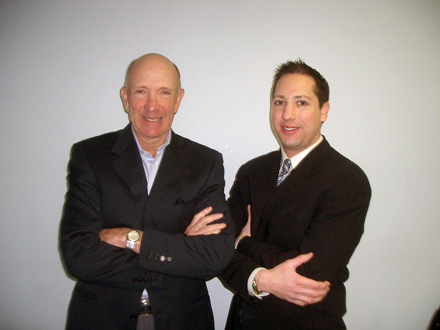 In the comfort of our private room, we use an array of tools and technology to assist in our jewelry buying. 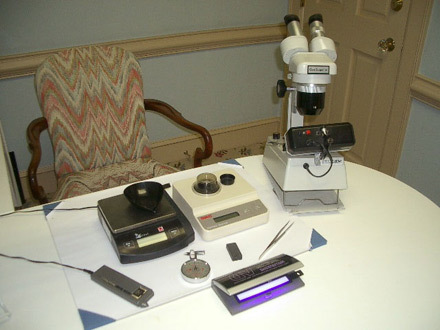 Gram and diamond scales, a gem scope (if you're ever in a jewelry store and do not see a gem scope being used, it is considered very unprofessional). 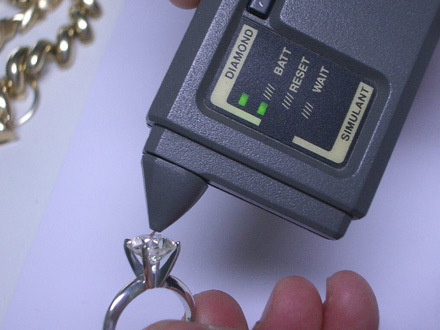 A Diamond tester and millimeter gauge helps to determine the authenticity of a diamond and how much the diamond weighs while it is set in the ring. In the front you see a fluorescence detection light. 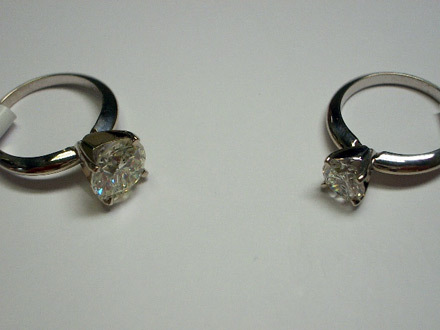 The more fluorescence a diamond has the less it is worth. 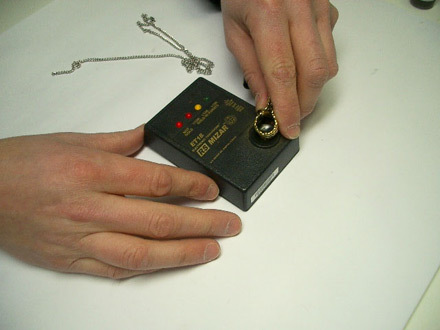 A gold tester is a full proof way of determining the karat % in a piece of gold jewelry. 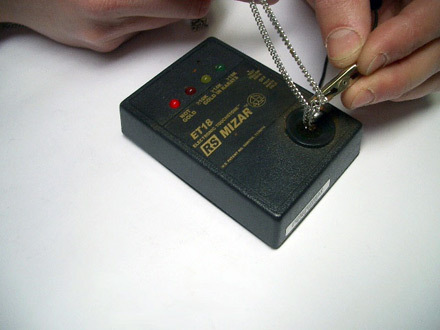 Most jewelry is stamped, but when it's not this is the last line of defense. 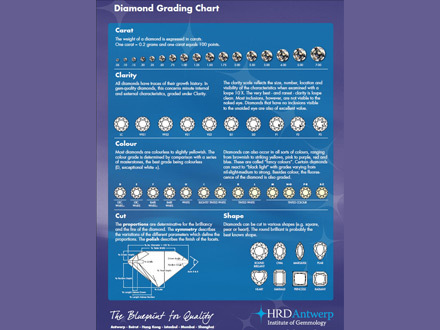 As you can see here is a necklace that was brought to me and we were told its gold, notice the red light on the tester where it says "not gold"
Here is a typical diamond chart, while color and clarity are very important factors, the CUT of the diamond determines 50% of it's price, also the amount of flourescence in the diamond is a another determining factor. Here is a piece of jewelry that we tested that was not stamped, you can see the yellow light glowing meaning that this is an authentic piece of 14k gold jewelry. 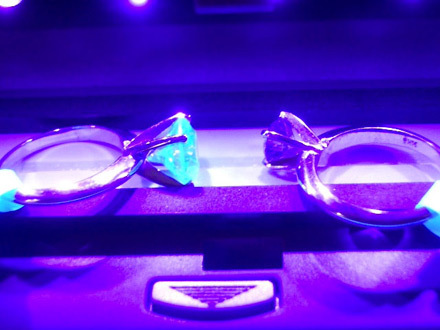 As you can see under the fluorescence tester, the diamond on the left glows with fluorescence tremendously, which can devalue a diamond as much as 5-10%.